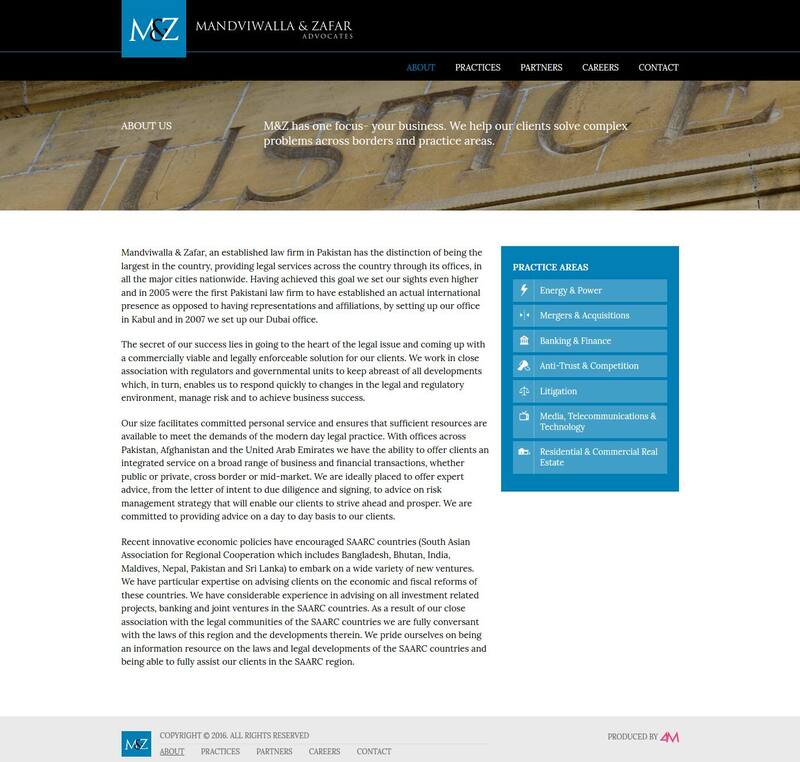 Mandviwalla & Zafar, an established law firm in Pakistan has the distinction of being the largest in the country, providing legal services across the country through its offices, in all the major cities nationwide. 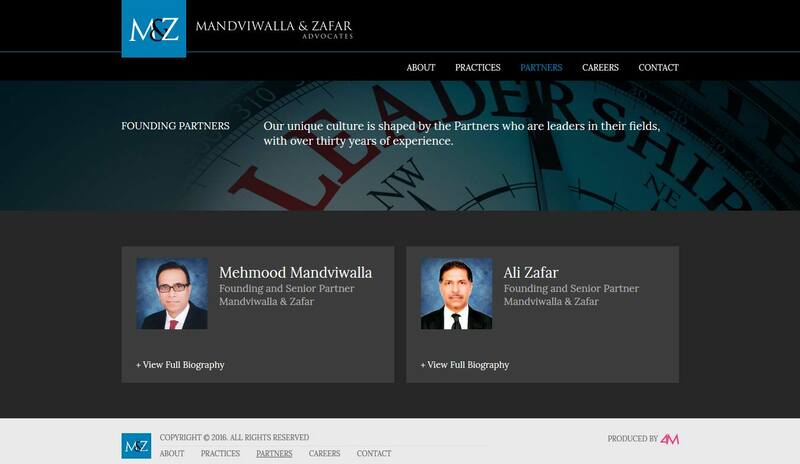 Having achieved this goal we set our sights even higher and in 2005 were the first Pakistani law firm to have established an actual international presence as opposed to having representations and affiliations, by setting up our office in Kabul and in 2007 we set up our Dubai office. 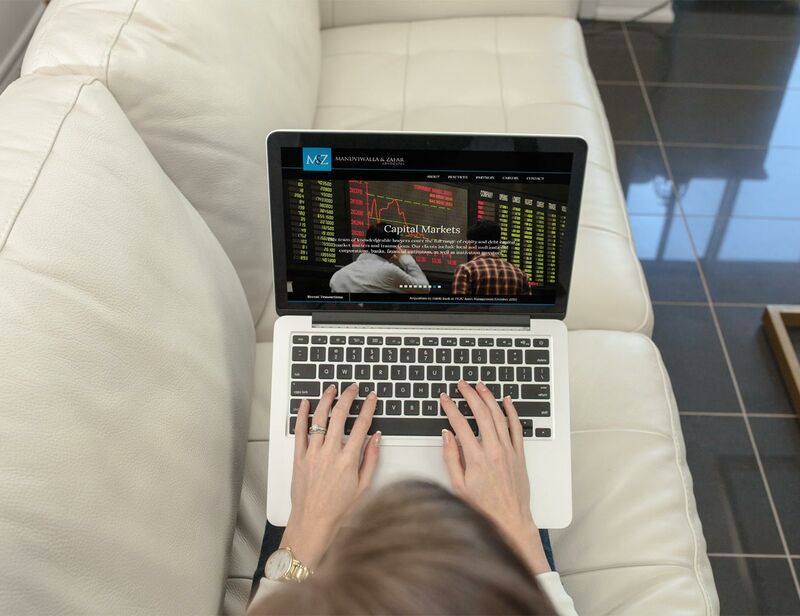 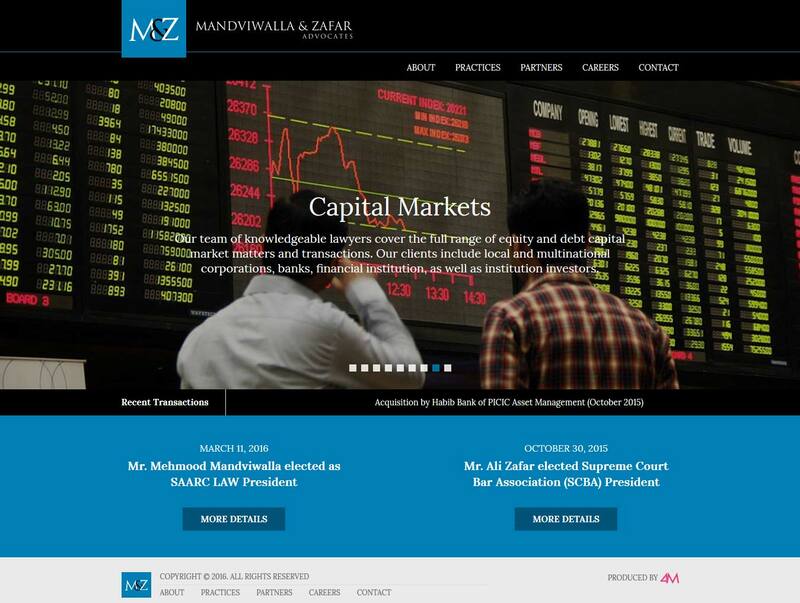 We realigned Mandviwalla & Zafar’s brand identity and developed their business website.